Love peace and pursue peace, love all people and bring them closer to God. An important aspect of my rabbinate has been working together with all people to build a community of friends in faith. The strength of our Atlanta interfaith community is our diversity, our commitment to dialogue and education, and our compassion and respect for each other. Deep relationships have grown out of this sacred work, and these friends in faith celebrate holidays and milestones with my family, as well as sustain me during challenging times. One interfaith project that connects me to this blessed community and is central to my religious life is the Interfaith Speakers Network. 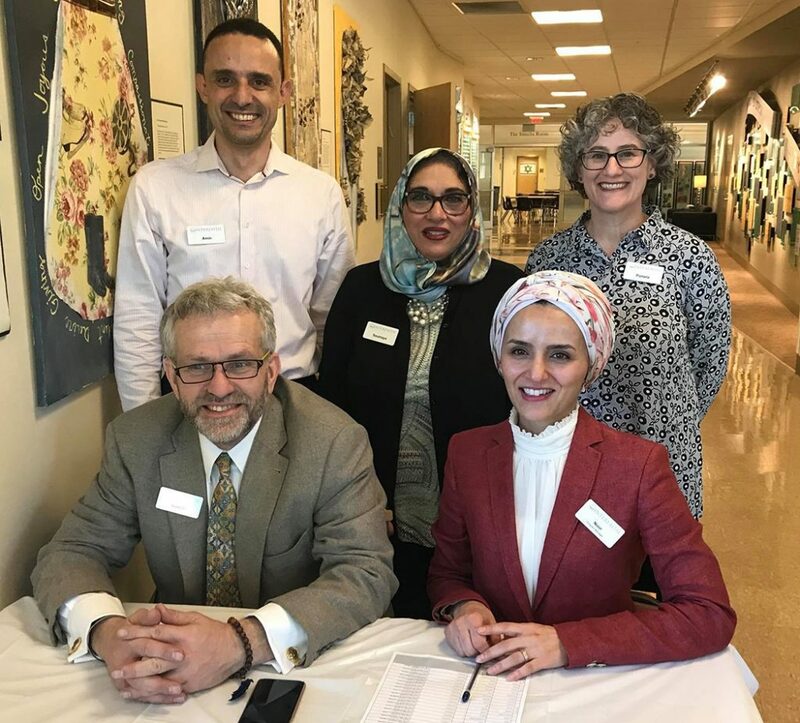 The Interfaith Speakers Network (ISN) is a collaboration between the Islamic Speakers Bureau of Atlanta and Faith Alliance of Metro Atlanta (FAMA). ISN offers educational panels with certified speakers from the 6 major world religions. The panels are interactive and provide opportunities to facilitate dialogue among and understanding about different faith traditions.